It I that time of year where many people make resolutions to change something in their life. And in a few weeks, those resolutions will probably be forgotten. That is precisely why I don’t like making New Year’s resolutions. According to a quick internet search, about 45% of Americans will make one (or more) resolutions this New Year. 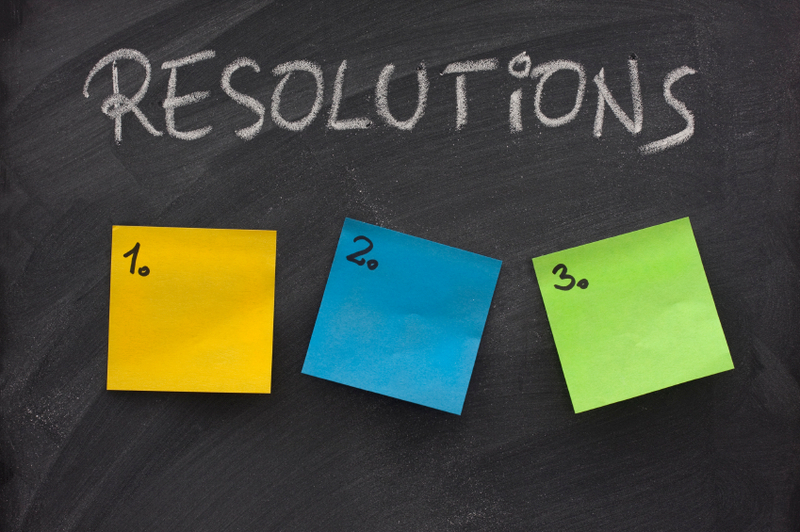 The top three resolutions are losing weight, start exercising and stopping smoking. Other popular resolutions include better money management and debt reduction. My concern about not following through on a resolution is definitely supported by my online search. In 2013, I posted about New Year’s resolutions. I refused to call it a resolution, but I wanted to lose about 5 lbs or at the very least slow down the weight gain. And if you look back at my other posts, weight gain (and counting calories to lose weight) have been the topic of several posts. Just so you know, the counting calorie thing does work. I did lose 13 pounds in 12 weeks. But the holidays hit and bad habits crept back up. As for that non-resolution from 2013, I can’t say whether I stuck with it our not. But one of my top non-resolutions for this year is…you guessed it. I would like to lose weight…oh and starting exercising would probably help me get in shape. But the memories of all those times where I start a program or plan and then get off of it as soon as I get busy or sick flash in my head. So here are some things I would like to do in the upcoming year. And no, I will not call them resolutions as I don’t want them to fail. Ugh. This again. Yes, even though I have successfully lost weight in the past, my problem is reverting to my bad habits as soon as I stop watching what I eat. So, I cannot go back to counting calories because as soon as I stop, any weight I loss will probably come back. This means I need to look at ways to change my behavior. My worst habit is snacking/eating when I am not hungry so that is the behavior I am going to try and change. If I can make some low-calorie or healthier options at the same time that will be a bonus. I have never really enjoyed exercising. But I know I lead a pretty sedentary life. When Jase was in kindergarten, we walked to school every day – pretty much no matter whether it was cold or hot outside. I think we ended up only driving twice that year and it was due to rain. When I needed to go to the school, I walked. Fast forward to now and I find many reasons for us to drive rather than walk. And that lack of walking to the school consistently has taken a toll on my fitness. It would be impractical of me to think that I am all of a sudden going to love exercising or find the time for a good long work out. Instead, I think I am going to aim for 10 to 15-minute blocks – at least once a day and to start walking to the kids’ schools more often. For two years in a row I participated in the 52-week challenge that helps you organize your house by doing one task/area each week. It really did help. But some of the areas need more work. I have already cleaned off ½ my desk and gone through all the clothes in my closet, eliminating those items that don’t fit or I don’t like anymore. But there are a few other areas – my dresser and the other half of my desk – that need some organizing. My goal is to break these projects down into smaller steps and work on them in the evenings while watching TV. Now whether I can keep up or accomplish anything on these non-resolutions, we will just have to wait and see. As you can see, I made a few mistakes already by picking three areas instead of one and by picking areas that I have failed in before. I think I will just ignore these tips and stick with my three areas and see how it goes. I’ll plan to do an update at the end of February and let you know if I kept up with any of these.